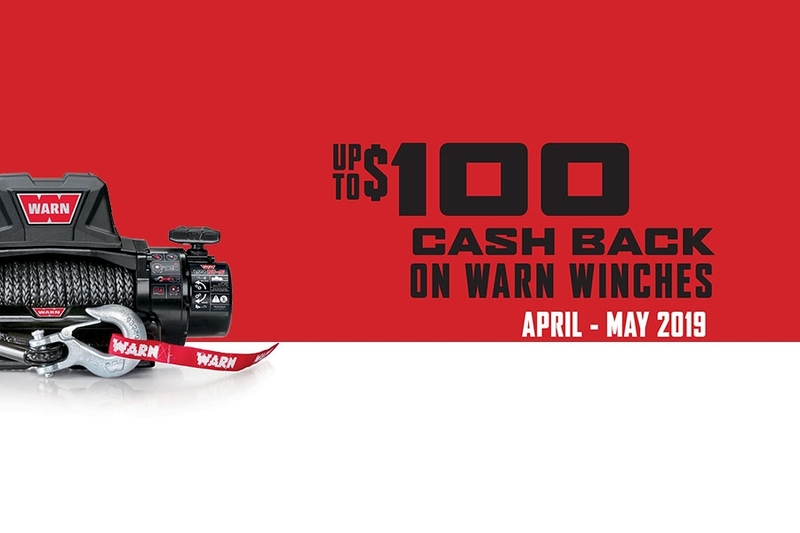 Spring Promotion | WARN Industries | Go Prepared. Warn Industries offers the most trusted, recognized, and innovative winches on the market. Asked for by name and proven in the harshest environments worldwide, WARN winches are the only name to trust when it’s all on the line. This spring, you can rely on WARN to put additional cash in your pocket. From April 1-May 31, 2019, Warn Industries is offering to put cash in your hands and WARN winches on vehicles.